In the award-winning steampunk universe of Ashley R. Carlson's The Charismatics, the rich live in floating cities over the achingly poor, flaunting their wealth constantly. Merry Coyne is one such pauper in the frozen landscape of Shinery, caring for her elderly parents and toiling into the night as a seamstress, where the shop owner craves more than just her needlepoint skills. On one particularly dreary day, news spreads faster than Shinery's dwindling food deliveries: the wealthy Duchess Ambrosia La Marck will hold a drawing for two handmaidens, a lucrative position that promises stability for Merry's family. In order for her to enter however, Merry must bargain with the only currencies she has: her beauty...and her bravery. 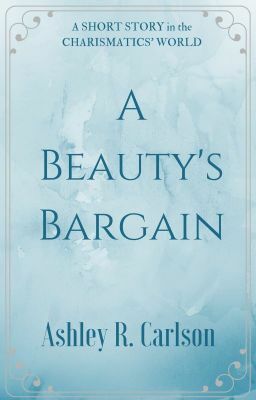 A Beauty's Bargain is a standalone short story perfect for those who wish to explore The Charismatics' world and its key players, before the rebellion has begun.